The fabrics used in REV'IT socks quickly wick moisture away from the skin, while ventilation channels keep the feet cool, dry, and comfortable. 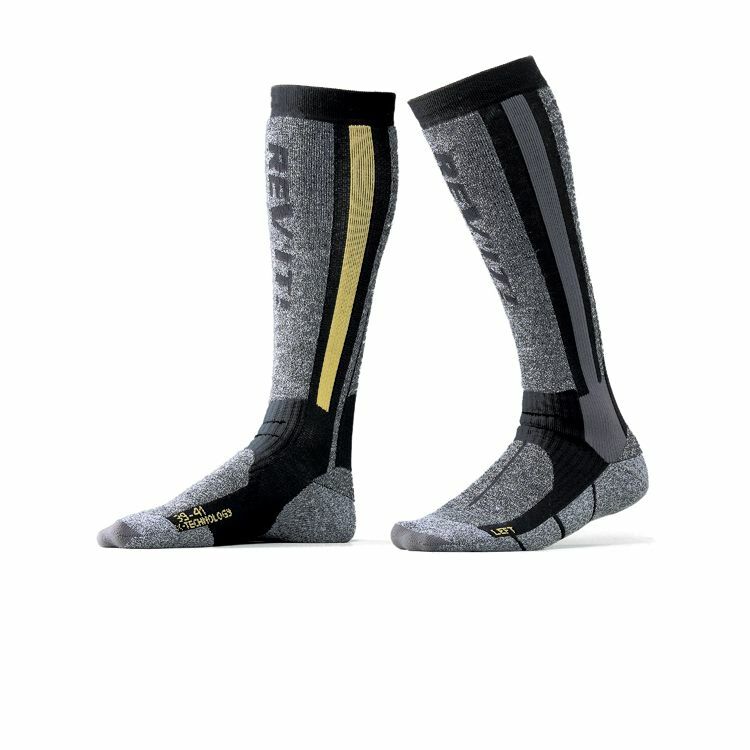 REV'IT adds pure Merino wool for extra insulation to keep your feet warm even on the longest winter touring ride. The anatomically shaped foot-bed supports and cushions your feet, providing support where they need it the most. I wore these from October to April to battle the 30s, 20, teens, and single digit temps. When it got down to the teens and single digit temperatures my toes did go numb after a 30 minute ride but at 20 or above Fahrenheit its very comfortable. These socks are good from 20 to 40 degrees. They go clear up to my knees so I do fold them down so they are a double layer on the lower leg.